An extensive range of amenities are available to enhance your experience with us. Find the perfect living space to relax and unwind in our fully furnished spacious hotel apartments, ideal for short and long term rentals. Enjoy real space and freedom that a hotel room simply cannot match. 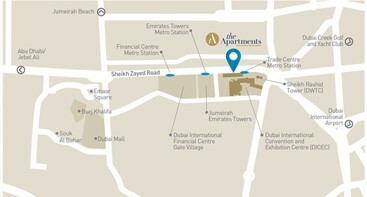 Welcome to The Apartments Dubai World Trade Centre. 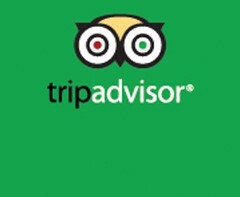 We pride ourselves in providing comfort, great value, and convenience to all our guests, both short-term and long-term. Ideally located amongst the major landmarks of Dubai, you are always at the centre of both business and leisure. 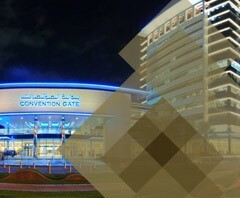 You couldn’t be any closer to events at the Dubai International Convention and Exhibition Centre (DICEC). Step out of your apartment and into the venue. It’s as easy as that. Copyright © 2013 Dubai World Trade Centre. All rights reserved.